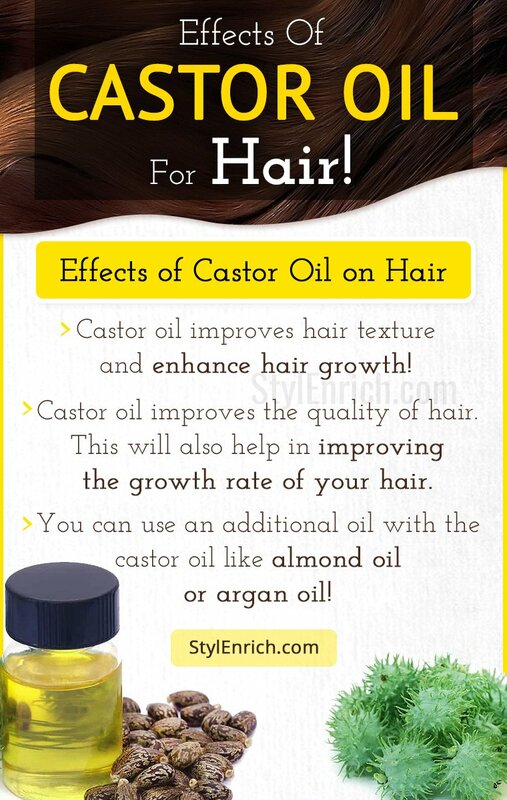 Castor Oil For Hair - A To Z Guide On The Miraculous Effects Of It! Castor oil looks pale yellow in colour and is made from the castor beans. Apart from being used for hair and skin, the castor oil is also used as a laxative for various health benefits.Beauticians and dermatologists have been recommending castor oil for hair and skin. It is a natural product and is known to enhance the growth of hair. The people who have been using the castor oil have been happy with the effectiveness, and thus we also recommend you using it for healthy hair and skin too. Many people are sceptical about using the castor oil as it has a sticky nature and is thick in density, but after doing a lot of research and personal use, we have come up with great results. In this post, we shall be sharing our experience which will give you all the information about this traditional beauty formula and how you should be using it. 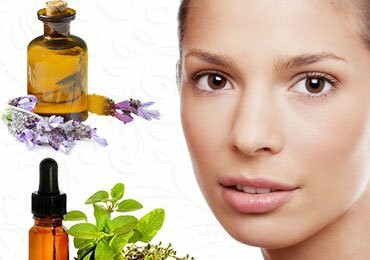 The castor oil has been used for ages as a remedy for beauty and health both. 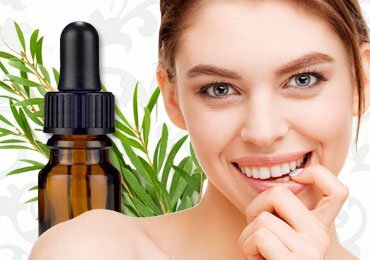 Though with the changing time and introduction of various cosmetic companies in the market people have forgotten about the benefits of castor oil for hair growth and beautiful skin. In the market, you will find many products for healthy hair but all these are definitely much more expensive than the natural castor oil and also have many chemicals in them, which will eventually have some negative effect on your hair. If we talk about the castor oil benefits for hair, there is nothing better than it. The castor oil is known to have essential antifungal and antibacterial qualities. 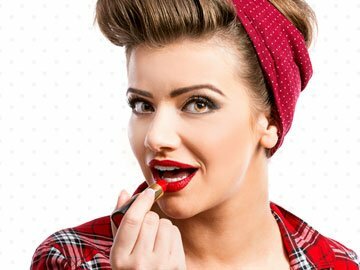 It is also rich in Vitamin E, proteins for hair, minerals, and the beneficial Omega 6 and Omega 9 fatty acids. The presence of high ratios of the ricinoleic acid makes it very beneficial for the hair growth and healthy skin. In the past people with problems of hair loss, slow hair growth, acne on the skin, rashes, etc. used to use the castor oil because of its ingredients and medicinal values. Using castor oil regularly and in the prescribed quantities will enhance the growth of your hair. After using it for a week, you will see results like improved hair density and length, faster growth, lesser split ends and a very natural hair that is easy to manage. If you are suffering from hair loss and it worries you, using castor oil regularly on the scalp will significantly improve the growth and reduce the hair loss too. Due to bacteria and fungus, the hair can have problems like dandruff, folliculitis and various other scalp related infections. The antifungal and antibacterial properties of the castor oil help in fighting these problems. The content of ricinoleic acid present in castor oil is very helpful for improving the quality of hair. This will also help in improving the growth rate of your hair. Most of us have been using the chemical based products for a long time, and if it has made your hair weak, frizzy, and rough, the ricinoleic acid will be beneficial in balancing the scalp pH. It will help in rejuvenating the natural oil of the scalp and make your hair healthy again. 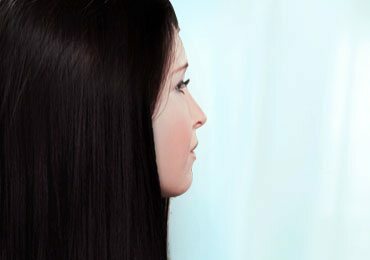 Many products are available in the market that has keratin oils in them and due to which the hair looks good, but that is temporary. The antioxidants present in the castor oil promote the keratin present in the hair, and thus the hair becomes more strong, smooth and frizz free. How to Use Castor Oil for Hair and Get Three Times Enhanced Growth? The women from different countries like Japan, China, Spain, Israel, India, etc. 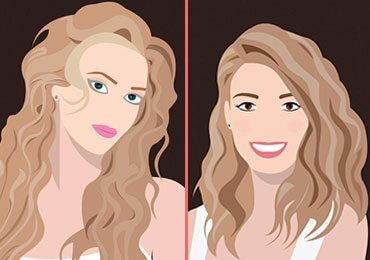 shared their experience of having a hair growth rate 3 to 5 times faster than the usual growth rate. If you have been trying to find out how to use castor oil for hair and want the best results out of castor oil, you should use the oil in right quantities. It is not important to use in large quantities. If you are using the oil for overall hair treatment, then you must not use more than few drops. You can use an additional oil with the castor oil. To get the right combination of castor oil with additional oil, you must consult your dermatologist, as the different oils are suitable for different scalp types. Many women suffer from postpartum hair loss. Even after the hair loss slows down, the growth rate is reduced significantly. Many ladies who have had postpartum hair loss tried the castor oil the results were happy faces of these women. Before the use of castor oil the hair grew only half an inch in a month, but after the use of the oil, the growth rate doubled. Continous use of the oil showed a better result than the previous month. Castor oil can be used with different oils for expected results. Here are some ideas some of which we have implemented personally and some we have found from people who have been using them. You can add a very small portion of the castor oil with almond oil for the fast growth of hair. This one is exceptionally good if you have thin hair, but if you have dense hair and do not want it to get denser, then you must try the castor oil with an oil which is good for texture. Another oil that you can use is the argan or jojoba oil. This combination is easy for the application. If you do not want to get into the hassle of creating your mix, you can find pre-made mixes in a departmental store. If your hair is thick and gets dry too often, you can use a special type of castor oil which is famously known as Jamaican Black Castor oil. The oil is used by men and women all across the world for hair growth and to improve their hair texture. The oil has received excellent reviews from many beauty bloggers and vloggers that confirms the benefits of the rare castor oil. So, if your mane has been giving you dry and burnt out feeling, it’s time you order your pack of Jamaican Black Castor oil today itself. FAQs on Castor Oil and Its Uses! 1. How Often Should The Castor Oil for hair Be Used? Treating your hair with the castor oil twice or thrice in a week is more than sufficient. You will get the best results with this usage. Using it on a daily basis does not show faster results. Using it daily might even make your hair look greasy. 2. Should The Castor Oil Be Used On Dry Or Wet Hair? Since the castor oil has to be used in less quantity, it will be tough to apply it thoroughly to dry hair, but it does not even work well with wet hair. You must have damp hair, and you should know how to apply castor oil on hair gently. You can towel dry your hair, and when you feel it is damp, you can apply the oil easily and effectively. Spread the oil throughout the hair with the help of your palms. You can even use a bottle spray to make your dry hair damp and then apply the oil. 3. For How Long The Oil Should Be Left On The Hair? To get the maximum benefit, you must leave the oil for few hours. Leaving it overnight will definitely have a better effect. If you are planning to leave it overnight, do wear a shower cap or wrap your hair in a towel to avoid putting oil stains on the pillow or furniture. 4. What Are The Right Products To Remove The Castor Oil? With natural shampoos, it will be a tough job to remove the castor oil from hair. This is also one of the reasons that it is recommended to use fewer quantities of the castor oil. A mud shampoo can be a good solution for removing the oil completely. Moreover, if you leave the oil overnight, most of the oil will be absorbed, and the cleaning will be easier. There is another way that is very messy for sure but also very healthy and effective to remove the oil. You can whisk an egg till it is smooth and then massage it into your scalp. To avoid the mess in the house, do it in the shower itself. The egg will add lustre to your hair and additional nutrients to your scalp, and easily break down the oil, so it becomes easy to wash. If you want an easier hack, then use the conditioner while washing your hair. The conditioner removes the oil and then you can shampoo your hair. 5. How To Know If Your Body Is Not Allergic To The Castor Oil? If you are using the castor oil or any other oil for the first time, you must test if you are allergic to it or not. Apply a very small amount of the castor oil on the inner arm. If you feel slight itching, you can be allergic to the castor oil. 6. Can The Hair Growing Serums Be Used With Castor Oil? The hair growth serums and castor oil give a great combination. This is very good for enhancing the hair growth. Some serums must not be used with the castor oil and in such cases; this will be mentioned on the serum’s bottle. 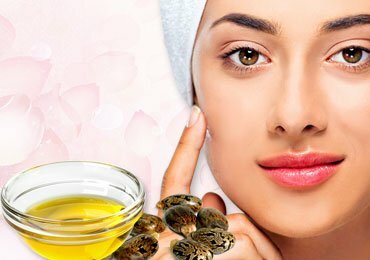 The Castor oil uses are not just limited to hair growth, but it is also good for your skin and health. You can even enhance the growth of your eyelids with the castor oil. If you would like to share your experience, feel free to comment. 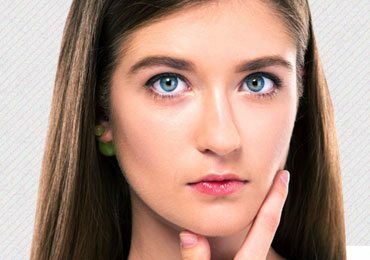 Read Next – Use Castor Oil for Acne and See the Result Overnight! 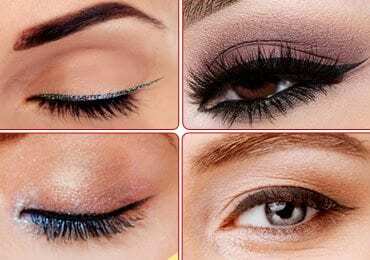 Eyeliner Styles : How to Apply Different Styles of Eyeliners? Yogurt on Face : Must Try Yogurt Face Mask for Amazing Glow!